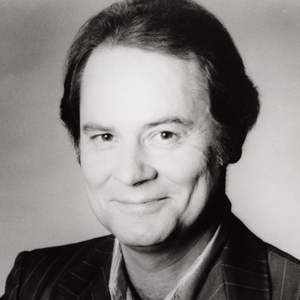 Kenny O'Dell, who wrote such country classics as "Behind Closed Doors" and "Lizzie and the Rainman" along with having his own hits, died on Wednesday (March 28) in Cool Springs, TN outside of Nashville at the age of 73. Born Kenny Gist, Jr. in Antlers, OK, he grew up in Santa Maria, CA and, by the age of 13, was already writing songs. At 19, he formed his own record label, Mar-Kay, and had a regional hit with the song "Old Time Love". After a stint playing with Duane Eddy, O'Dell started his own band called Guys and Dolls, spending five years touring nightclubs. He also continued to write music and finally had hits when Rose Garden recorded his song "Last Train From London" (1967 / #17) and Bobby Vee put out "Beautiful People" (1967 / #37). Ironically, O'Dell's own version of the same song peaked at 38 that same year. In 1969, O'Dell took the job as the head of Bobby Goldsboro's publishing company, House of Gold, and relocated to Nashville. He also continued writing and scored his biggest country hit, to date, in 1972 with Charlie Rich's version of "I Take It On Home" (1972 / #6 Country). He followed the next year with his and Rich's biggest song, "Behind Closed Doors" (1973 / #15 Pop / #1 Country / #8 Adult Contemporary). For the rest of the decade, O'Dell songs regularly hit the top of the charts including Loretta Lynn's "Trouble in Paradise" (1974 / #1 Country), Tanya Tucker's "Lizzie and the Rainman" (1975 / #37 Pop / #1 Country / #7 AC) and, in the 80's, the Judds' "Mama He's Crazy" (1984 / #1 Country). O'Dell also had his own commercial success in 1978 with both "As Long As I Can Wake Up in Your Arms" (1978 / #12 Country) and "Let's Shake Hands and Come Out Lovin'" (1978 / #9 Country). Kenny was inducted into the Country Songwriters Hall of Fame in 1996 and won numerous awards over the years including a Grammy for Best Country Song for "Behind Closed Doors" (1973) and the Nashville Songwriters Association's Songwriter of the Year (1984). O'Dell was married to former Duane Eddy band guitarist and Musicians Hall of Fame member Corki Casey O'Dell who died last year.